What happens when Malaysia decides to build an atomic bomb? 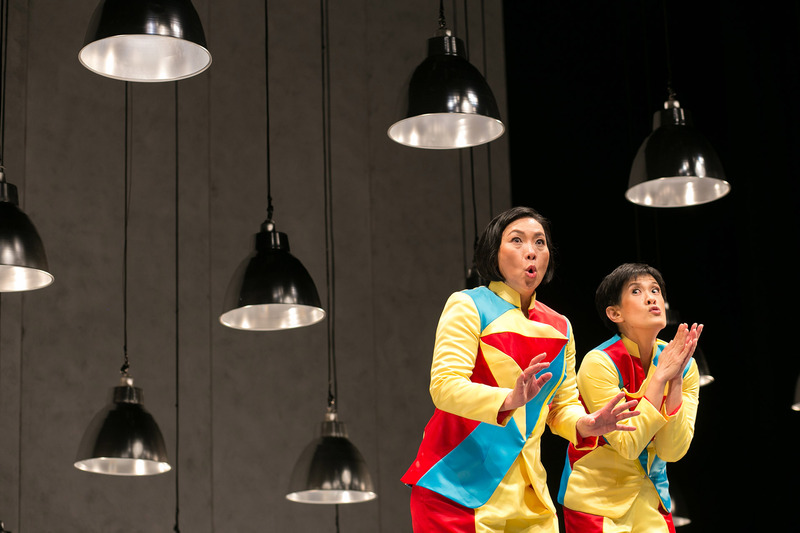 Checkpoint Theatre’s 15th anniversary production of the much-loved and oft-requested comedy, the explosively funny Atomic Jaya, explores the possible implications of this situation. The year is 1998, and physicist Dr. Mary Yuen has a story to tell about the building of the Malaysian atomic bomb. Lured away from her mundane lab job to join General Zulkifli’s madcap plan to construct a nuclear device “for the good of the country”, she meets a colourful array of characters – including scientists, smugglers, socialites, ministers and a particularly important canteen lady – and is obliged to come to terms with a difficult moral dilemma. From its first staging in 1998, audiences immediately fell in love with Atomic Jaya and its zany cast of 16 characters. 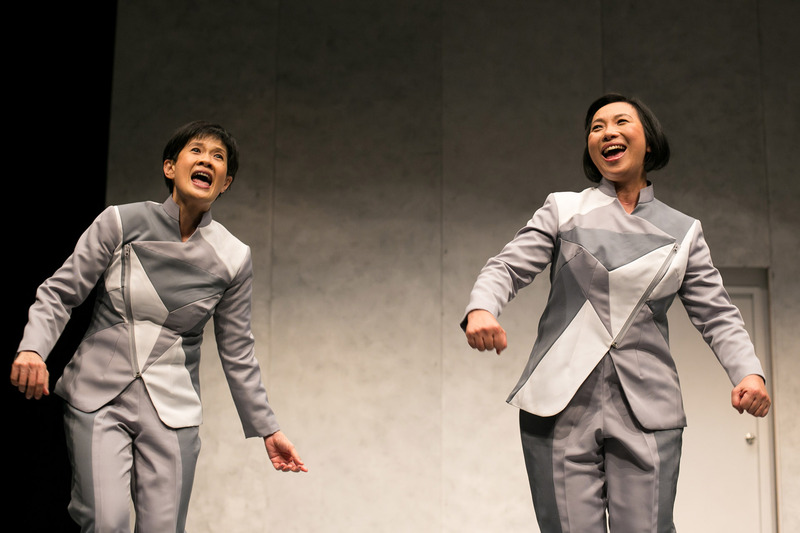 Written and directed by the award-winning playwright Huzir Sulaiman with his inimitable razor-sharp wit, and performed by the talented Karen Tan and Claire Wong, this much-loved Asian satire remains a classic. 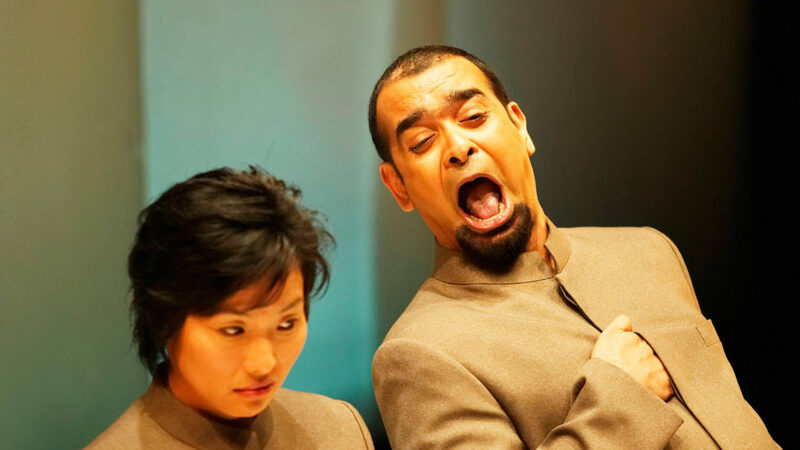 Deliciously cheeky and laugh-a-minute funny, Atomic Jaya is utterly enjoyable. Photo credit to Zakaria Zainal. First produced by Straits Theatre Company in 1998, Kuala Lumpur. First produced by Checkpoint Theatre in 2003. 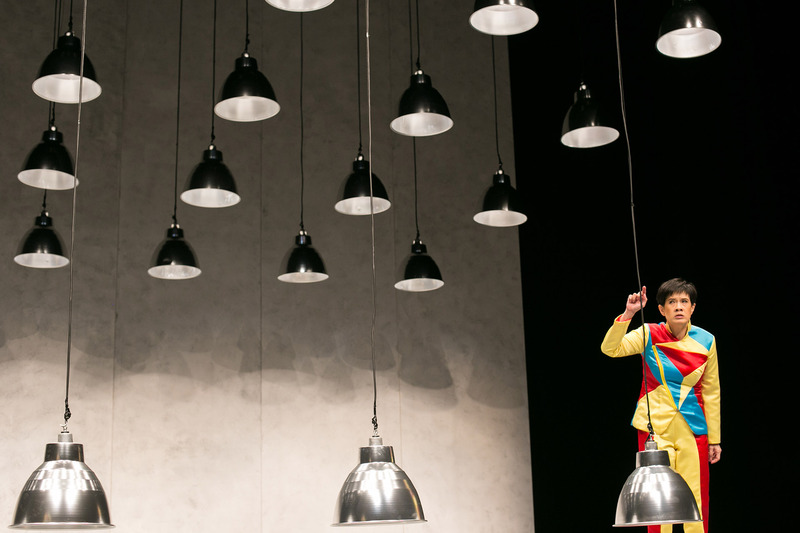 Presented in 2013 by Checkpoint Theatre. As always in Checkpoint productions, one is struck by the subtle production elements that elevate the narrative... 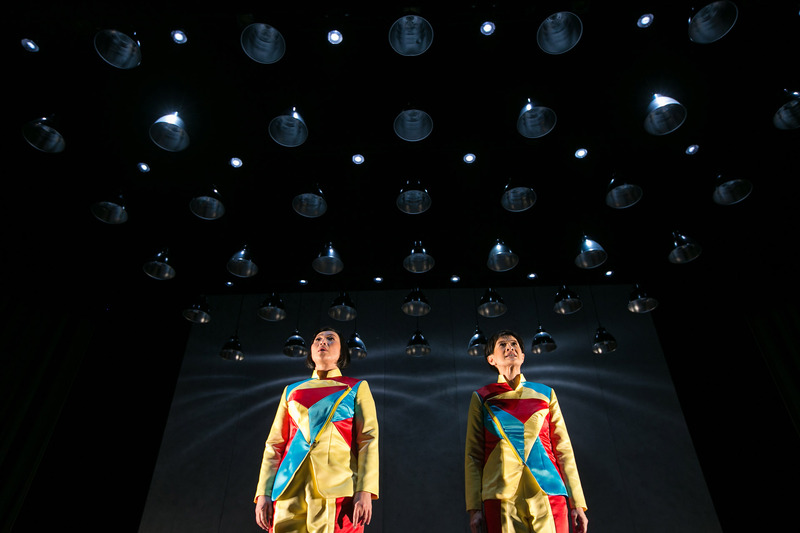 This stylish revival of Atomic Jaya remains every bit as relevant and entertaining today ... A sizzling satire of Malaysian identity and a reminder of the dangers of misplaced national pride, it certainly provides us with plenty of nasi campur for thought. 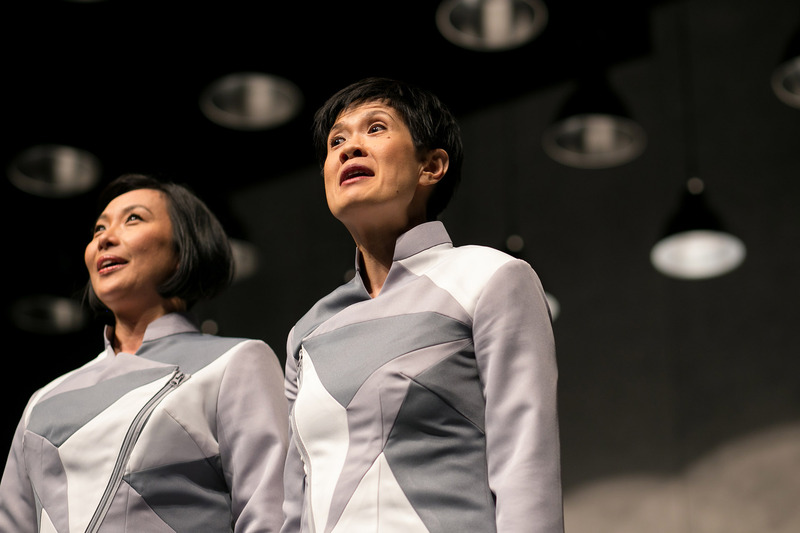 [Claire Wong and Karen Tan] both display great skill in portraying no fewer than a dozen characters between them... both actresses bring to life each and every person they play on stage... It isn't every day that a local play, about local people and local issues, comes along that is as funny or more so than the best-heralded comedy from the West. Playwright and director Huzir Sulaiman has done the job splendidly with his political satire Atomic Jaya - and the result is pure laugh-out-loud hilarity... sophisticated direction, stellar acting and sleek production design.